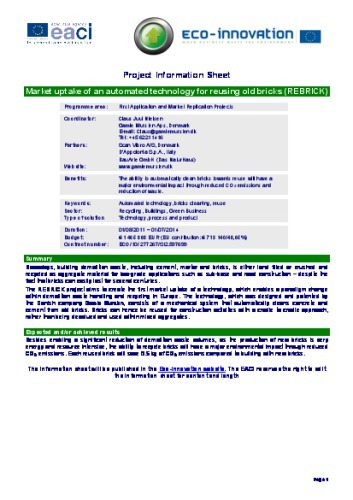 Below you will find information resources about the REBRICK project, the project results and products. Article about the REBRICK project in MiljøForum Fyn's magazine. Miljøforum Fyn is a network for business and environment covering the Funen Area in Denmark. The article is in Danish. 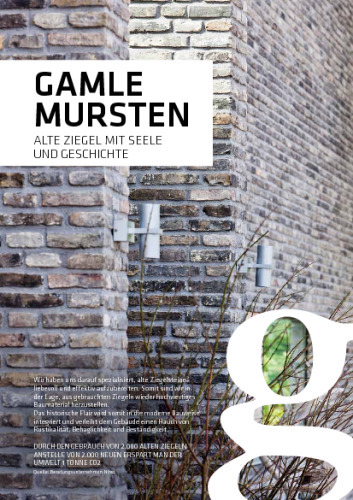 Article in the newsletter from the Southern Denmark's Office in Brussels. 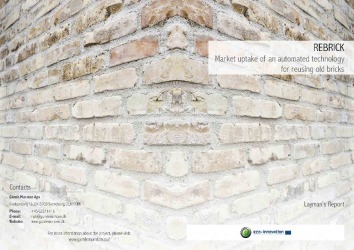 The article describes the application process for the REBRICK project. The article is in Danish. 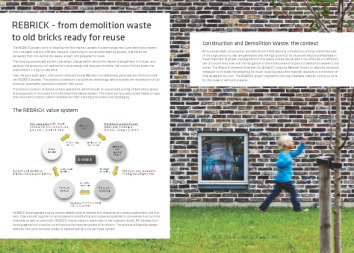 Flyer describing the REBRICK project.